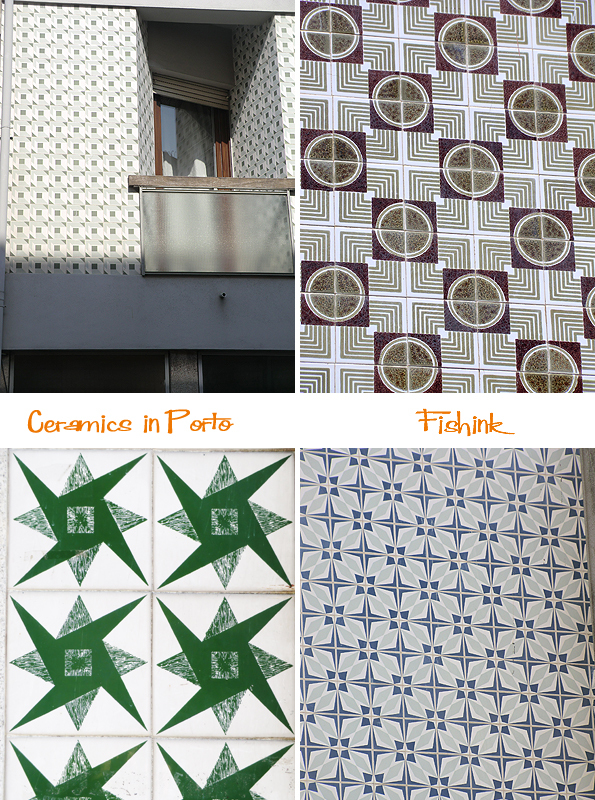 Welcome back to my travels in Porto, and today I’m revealing the wealth of ceramics than adorn and decorate the buildings around the city of Porto, Portugal. 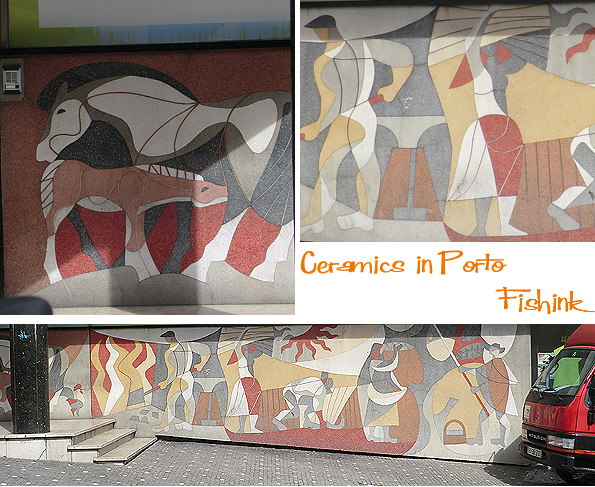 You may remember my ceramics post from Lisbon.. nearly 2 years ago ? if not it’s here for you to check out afresh. 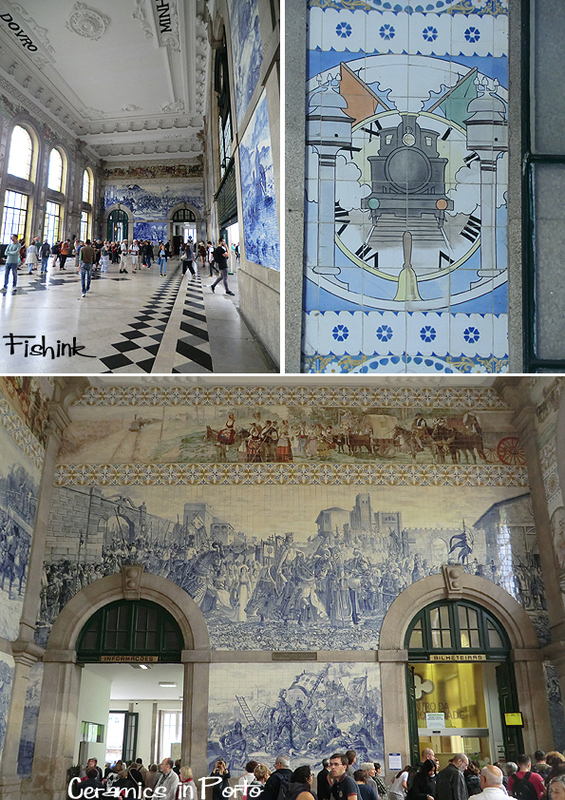 and the inside of São Bento railway station … what an impressive interior. I often think what would we do without nature as inspiration for our surroundings ? Plants and flowers are everywhere. 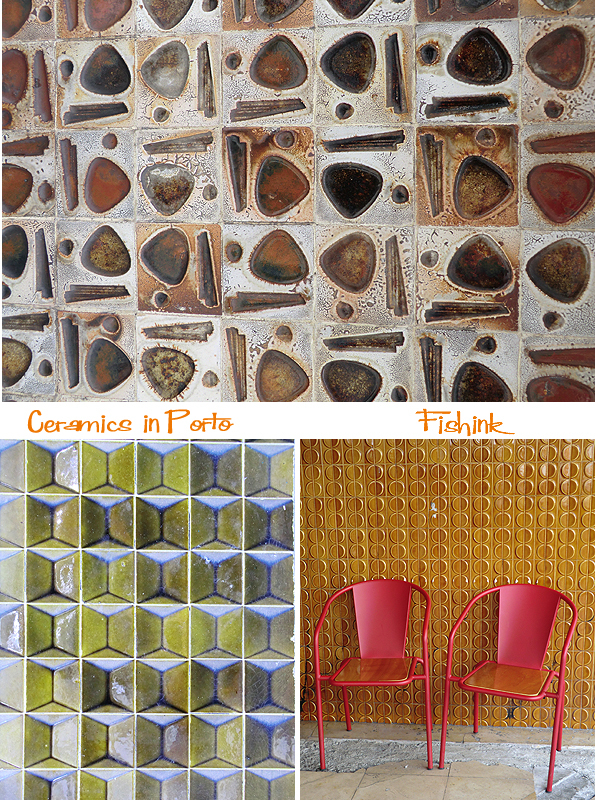 Of course these retro ceramics from the sixties caught my attention straight away. As did these geometric designs. This beautiful frieze… designer unknown. 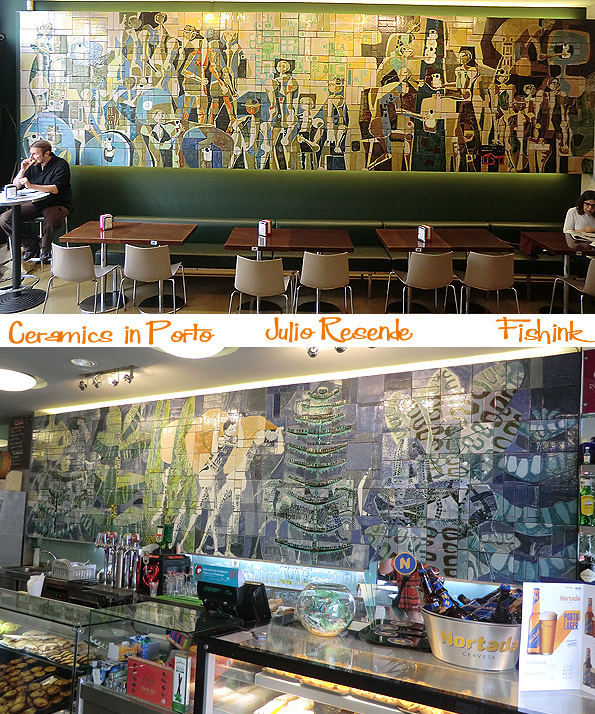 However my absolute favourite murals I spotted in Porto, at the Confeitaria Sical. 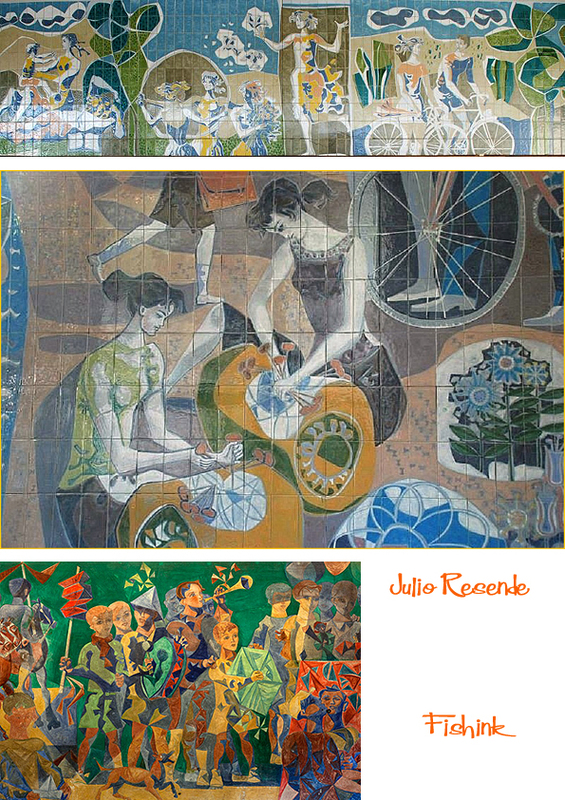 Created from the work of artist Julio Resende in the 1960’s, who was born in Porto in 1917. They are right up my street. Lush colours and textures in a symphony of visual movement. 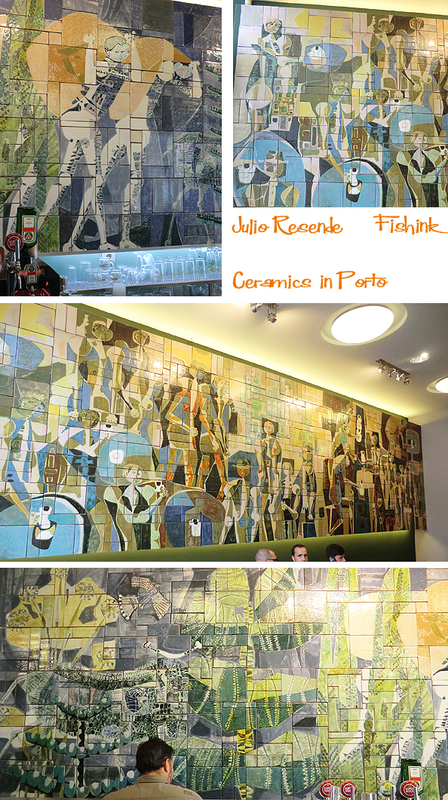 Here’s a couple of Julio’s other artworks and a link to another huge tiled mural in Portugal that I didn’t get to see. Which were your favourites ? STOP PRESS… I’ve a real treat for you next week, a world exclusive interview with non other than Swedish Ceramist Lisa Larson. 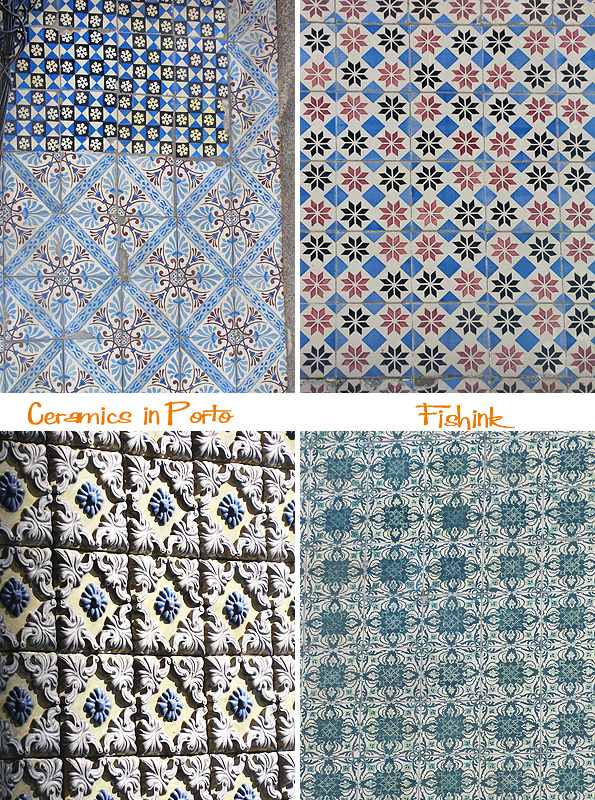 Given especially for the readers of Fishink Blog… how lucky are we ? Very exciting so don’t forget to tune in next Monday. They are truly magnificent and remind me of John Minton’s early paintings what an inspiration ! I just adore those blue and white ceramic tiles – it would never occur to Australian architects to decorate our buildings like that – far too beige and bland over here when it comes to style like this! 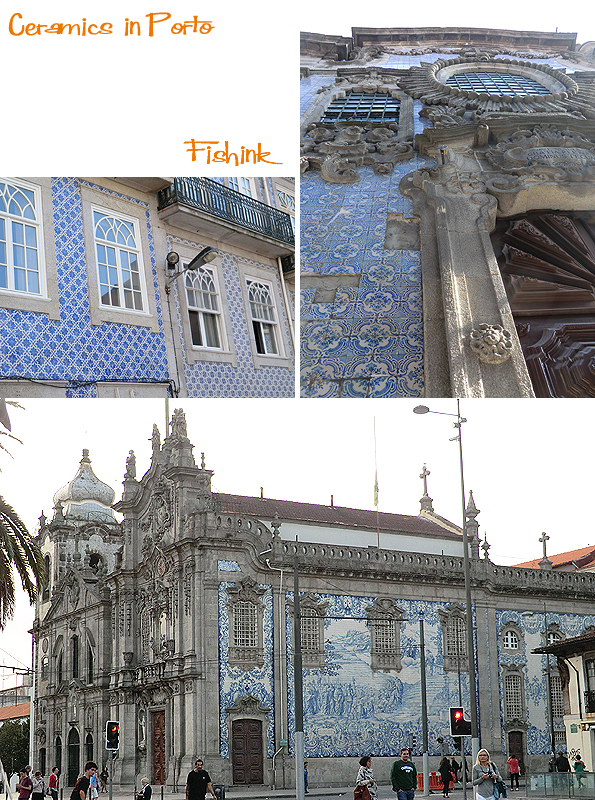 I think I would go mad with joy to wake up every morning and see such flamboyant ceramics bedazzling the buildings – but I bet the local Portuguese take them all for granted! Pondering Deirdre’s comment… sometimes I wonder if people are just afraid of art? Afraid and too timid to embrace the use of bold colors and illustration in public places? Sometimes, not always. 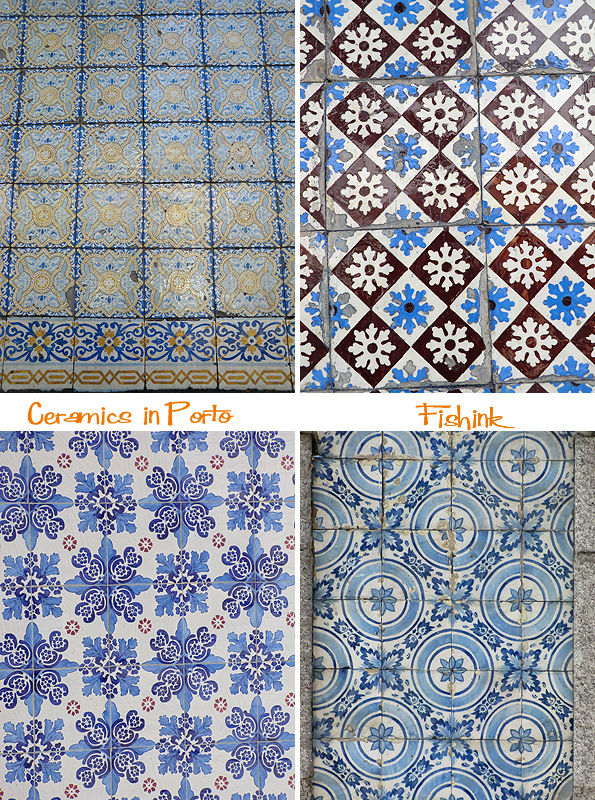 The tiles are beautiful. 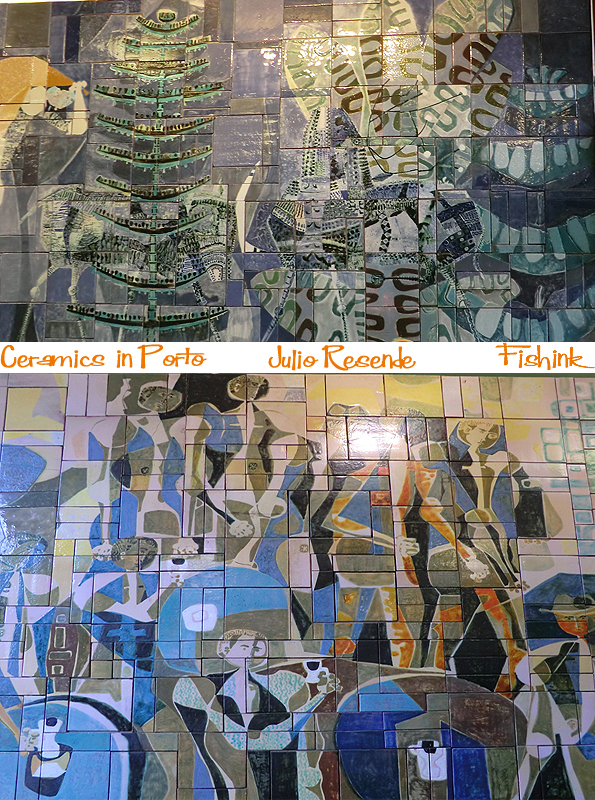 With the massive murals inside the railway station, I pictured someone sitting at a table and laboring (but of course, a labor of love) over each individual tile. Beautiful work. I’d have a sore neck from the hours of viewing, and you’d find me inches away rubbing my hands over the 60’s raised textures! Call me crazy!